We meet for worship every Sunday at 10:30 a.m. Read more about our worship services here. Every Wednesday night at 6 p.m., members and friends of the Campus Chapel gather for dinner in the basement of the Chapel (or outside, if weather permits). The meal is prepared by members of the Chapel and always includes a vegetarian option. Come join us, bring a friend, and enjoy some good food and conversation. 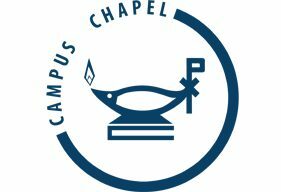 The Chapel frequently organizes small groups to study the Bible or other books relevant to the Christian life. Social gatherings also often take place at the Chapel, whether it’s riding our bikes to the Dexter Cider Mill, watching a movie, sharing a meal in someone’s home, or playing Ultimate Frisbee. For more information about study groups and other social events, watch our events calendar, Facebook page, and Chapel email listserv. To join the listserv, email office@campuschapel.org or sign up on the clipboard at the back of the Sanctuary.